The Athletics are nearing a contract with lefty Brett Anderson, per Susan Slusser of the San Francisco Chronicle (Twitter links). Anderson himself tweeted this evening (without divulging the team) that he’s preparing for a physical tomorrow, so that may be all that remains before the agreement is finalized. It’ll be a MLB deal for Anderson, a client of The Legacy Agency. Financial terms remain unknown at this time. There have been quite a few ups and downs over the years for the southpaw, who is now 31 years of age. 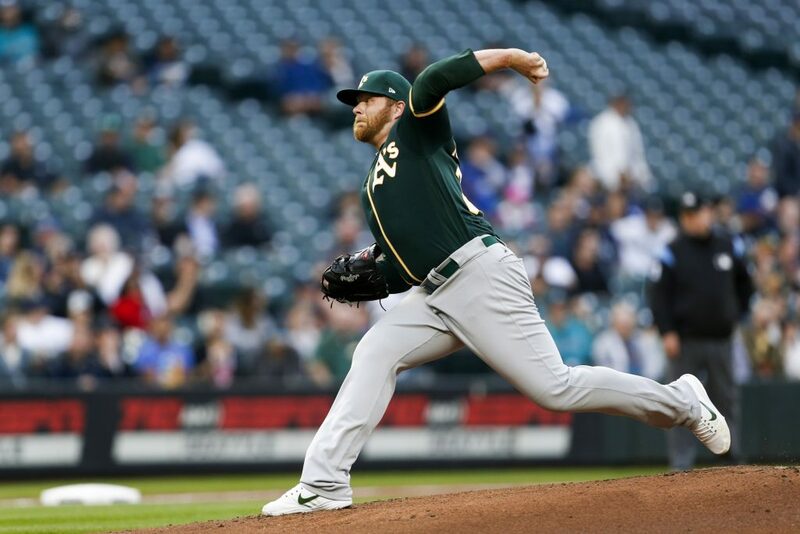 Once a highly promising young hurler in Oakland, Anderson has often been effective on the mound but has dealt with countless injuries, particularly to his back. All told, he has made about half of the starts he might have over his decade in the majors. Last year came with a typical blend of positives and setbacks. Anderson dominated at Triple-A to earn his way back to the A’s staff, missed some time with a shoulder injury, and ultimately turned in 80 1/3 innings of 4.48 ERA ball over 17 starts in the big leagues. As usual, Anderson turned in underwhelming strikeout numbers, with just 5.3 per nine in 2018. He made up for that by drawing grounders on 55.6% of the balls opposing hitters put in play, his highest rate since his last full season of 2015, and by allowing a personal-low 1.5 walks per nine. Statcast actually felt Anderson was a bit unfortunate, as it valued him wit a .338 wOBA-against but a .318 xwOBA-against. ERA estimators valued Anderson as a solid back-of-the-rotation performer (4.17 FIP, 3.91 xFIP, 4.13 SIERA). There’s a lot to like about that profile on a low-cost, low-risk deal. Clearly, there isn’t much appetite around the game for promising multiple seasons to Anderson, given his health history. But for an Oakland org that is still looking to fill out a decent rotation on the cheap, it’s easy to see the appeal.